Perhaps I just haven’t been paying much attention lately, but when Ben Sollee posted a link to a three-song EP on his Facebook today, I was quite surprised. 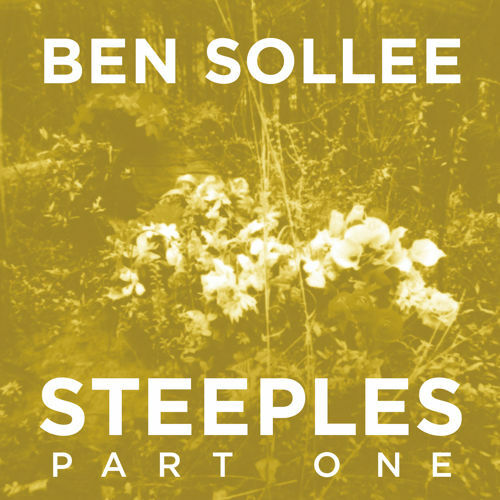 Though I don’t know too much about the context of this EP, Steeples Part One, is presumably the first of some series of releases coming from Ben. It starts with a short tune, “Forgotten,” which pairs cello and vocals for an intro before slowly adding layers of drums, electric guitars, strings, and additional vocals. Short interludes between verses become increasingly rich, and the sound he arrives at for the coda just feels really good. “Pretend” is my favorite track of the EP – it’s a soul-pop tune that discusses notions of simplicity and love, and the repeated lines, “I’ll be there when things get tough, and I’ll hold your hand,” ought to resonate with people who grapple with the expectations of love. The final track, “Loving Memory,” is quiet, somber, and the most intimate of the bunch, featuring mostly cello, voice, and bass. All in all, the EP is pretty stripped-down from the sounds found on 2012’s Half Made Man – he’s moved a little bit back towards the sound found on his Learning to Bend and Dear Companion. But this simpler sound lends itself well to his music – it feels more natural, and definitely a step back in the right direction. Hopefully we’ll know soon whether there’s more stuff like this on the way. Tracks I Liked: Forgotten! !, Pretend!! !, Loving Memory!